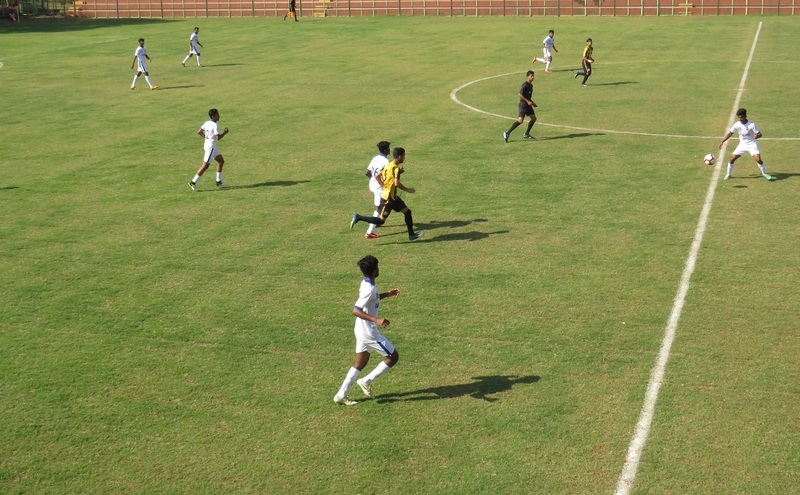 Goa, January 30, 2019: The Hero Elite League (U-18) Final Round group stage is nearing an interesting end as we move closer to Matchday 3 of this stage of the tournament. There are 16 teams in the mix, divided into four groups of as many teams each, with the top two teams from every group making it to the quarterfinals. Let’s take a look at how the groups are shaping up. As of now, Chennaiyin FC is the only club to have secured qualification for the quarterfinals. This is a rather interesting group as all the teams are still very much in contention to make it to the quarterfinal. FC Goa are at an advantage and need just a draw against Sudeva to make it through, while the match between FC Pune City and MSP Academy will be a virtual knockout, with the winner ensuring progression. Sudeva, who are currently bottom of the group, can also make it through with a win against FC Goa. However, a win for Sudeva and a draw between Pune and MSP would make things complicated. In such a scenario, FC Goa, Sudeva and FC Pune City would end the group with four points each. The head-to-head records of the teams will be taken into consideration if this happens. The equation is a bit more straight-forward in this group as Chennaiyin FC have already secured progression, having earned six points from two games. Second-placed Minerva Punjab need at least a draw against the group leaders on Matchday 3, in order to make it to the quarters. Defending champions Shillong Lajong, who are currently third in the group, can give themselves a shot at progression with a win over Reliance Foundation Young Champs on Friday but they would have to hope that Chennaiyin beat Minerva by a big enough margin. It’s another tight affair in Group C, where SAI Guwahati, Quess East Bengal and Bengaluru FC are very much in contention. Both SAI and QEB can make it through if they get a draw in their matches against Delhi Dynamos and Bengaluru FC, respectively. The latter, on the other hand, need to ensure a win against the Red and Golds, as even a draw may not be enough since they have an inferior head-to-head record against SAI Guwahati. This is another group that may turn out to be a complicated affair. Mohun Bagan are currently at the top of the proceedings and can ensure progression with at least a draw against Real Kashmir on Friday. However, both Real Kashmir and Aizawl are second and third respectively and would give themselves a chance with a win. Kashmir have to beat Bagan and hope that Salgaocar get at least a point against Aizawl while the Mizo club will have to win their own game against Salgaocar and hope that Bagan get at least a draw against Kashmir. However, the equation becomes complicated if Kashmir beat Bagan and Aizawl beat Salgaocar on Matchday 3. In that case, Bagan, Aizawl and Kashmir will all be on six points each, and it will come down to the head-to-head and goal difference records.